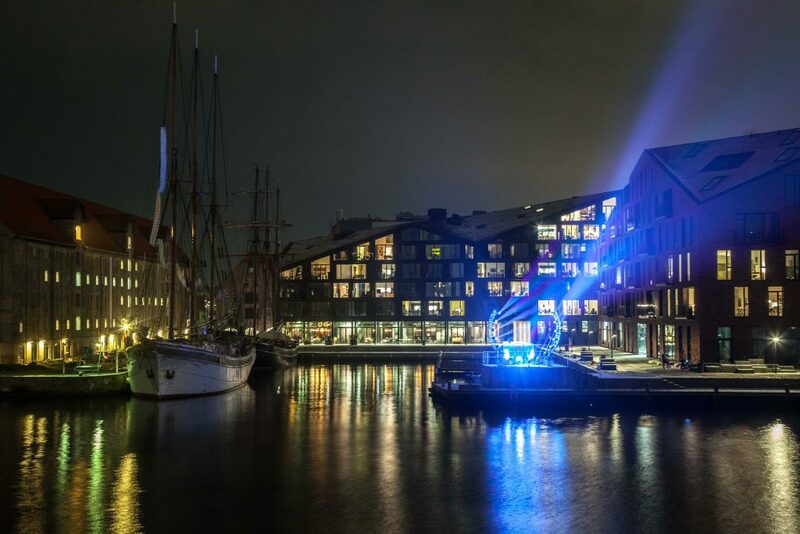 For decades, Copenhagen has had a strategy for lighting and a strategy for the protection of the dark, which is unique for a big city. This heritage allows us to investigate the water in the harbor, with the sky and the stars as a backdrop. We celebrate darkness, both the permanent and the volatile. The music to the work can be streamed synchronously, so the work can be viewed remotely with music. Watch the installation at close range or take a guided boat trip and experience the installation from the water side.